Choosing the best diet for your dog is a difficult task and one that needs a lot of thought and consideration for what is best for them. As a dog owner you will no doubt have been possibly even slightly daunted at the sheer volume of varieties of dry, tinned, raw and fresh dog food available – but which is best? In K9 Magazine's interview series the question most celebrities want to have their dogs answer is 'am I giving you everything you need and want?' and diet no doubt falls under this category. Most dogs get used to being routinely fed and they actually acquire tastes of their own rather being happy to simply eat what’s available to provide them with enough calories to simply exist. For example, K9 Magazine's own Mia loves fruit, if there's a pineapple chunk, piece of banana or strawberry going spare, she wants it – nay, demands it be shared. Yet, offer Danny the same treat and you'll discover how it truly feels to be snubbed. Modern dogs don’t gorge in order to stock up on calories and they can afford to be more picky with their dietary regime (this is still quite rare though, most dogs will still try to stuff themselves, but they no longer need to). Already we can spot various reasons why the canine diet has changed. They no longer need large amounts of fat to stay warm, our centrally heated homes do that for them; they no longer need huge amounts of energy to hunt with, so their survival requirement for protein is diminishing and they no longer need to gorge on a day’s worth of food as we provide it to them in nice, pre-proportioned amounts on a regular, daily basis. So how do you choose what food is best for your dog? What we need to do to give our dogs the best our budget allows is first to read up on everything that is out there, says Brenda Scully. Sprinkle all the information with good old common sense, and you will get the right food and a healthy, happy dog. Today's pet food market is positively bursting with specially formulated diets catering for dogs of all ages, shapes and sizes. There is no single dietary regime that could be considered suitable for every dog. It is always a good idea before choosing a food to bear these factors in mind: your dogs age, size, activity levels, coat condition and any previous food sensitivities. We are, maybe reluctantly at times, being shunted towards a healthier lifestyle for ourselves and the animals in our care. Here are some pointers on identifying the right food for your dog. 1. Read all you can on your breed of dog. Learn about the nutrition required as well as the amount of exercise required. One will balance out the other. 2. When buying dog food learn to read the labels. There is an abundance of information available via the web to help you do this. It's all very well reading the labels, but you need to understand what you're looking for. Many diets are developed with a particular dog in mind, for example - a Middle aged, low activity large breed. If a formula developed for a low activity large breed is being given to a highly active, small Terrier it goes without saying problems can ensue and, at the very least, the dog would not be getting an ideal diet. 3. Spending a little more on good quality food for your dog's well being could cut down on your veterinary bills in the long run. Don't be afraid to call the manufacturer's helplines for advice. Most of the pet food companies nowadays operate help lines, in many cases operated by fully trained dieticians. Use this to your advantage. Call them and quiz them on why their food would be perfect for your dog. Ask if they have specially formulated products which might not be readily available in the high street, and if not, where can you purchase them from? Call a range of different companies and make a genuinely educated decision on what the most suitable nutrients your dog requires. 4. Observe your dog for weight gain and act on it quickly if he gains weight by giving a little less food to your dog. If you must give your dog treats, there are some excellent, healthy options on the market. Some treats also aid dental hygiene. 5. Make feeding fun. For many dogs, their whole day is focused around food. They get so excited at the mere thought of receiving their meals, treats and expeditions to the fridge. Once you know what your dog should be eating in a day, why not consider splitting it up into smaller meals and making your dog really work for it? Hide food, scatter it, ask your dog to ‘perform’ for it, use it as treats when out on a walk rather than using other foods as rewards in addition to their daily required intake which could lead to obesity. This article was sponsored by Eukanuba. Eukanuba’s pet nutritionists strive to bring out the best in your dog. 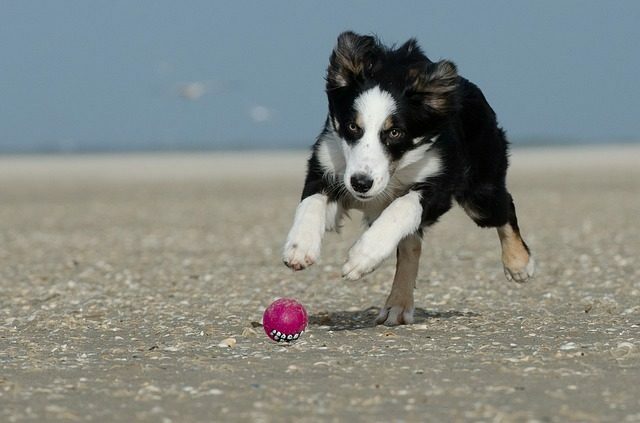 We see dogs as high-performance wingmen who want to go further together with you. Our mission is to make a difference in their lives. We do that by creating premium nutrition – or what we prefer to call the fuel – that helps bring out the extraordinary in your dog.